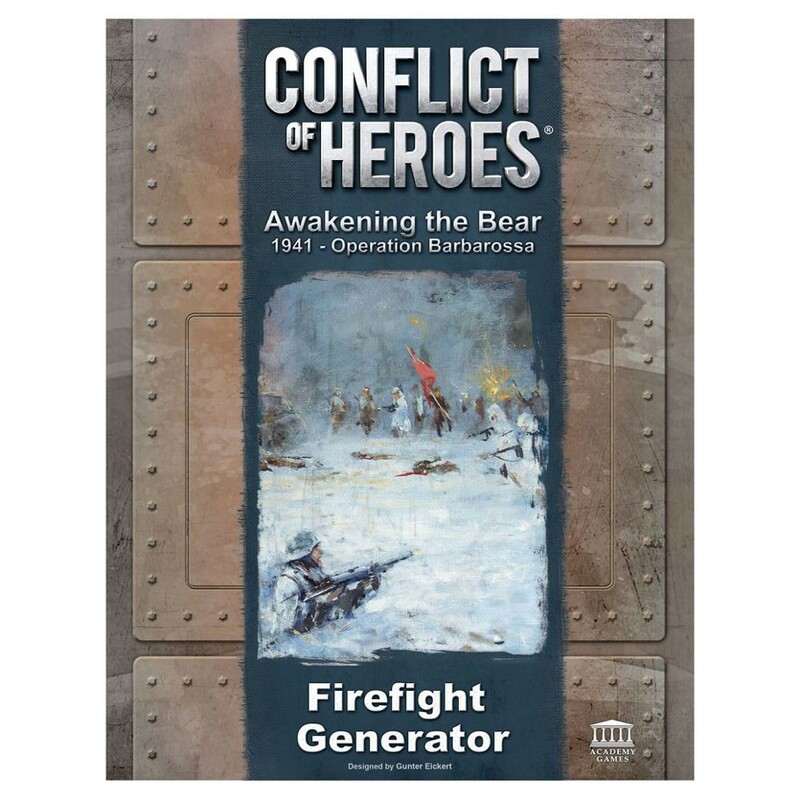 Awakening the Bear: Firefight Generator builds on Academy Games' award-winning Conflict of Heroes series for a whole new experience. Players use strategy and cunning to manipulate the battlefield and available forces to create an engagement set to their advantage. This expansion for Awakening the Bear 2nd Edition includes everything you need to create countless Firefights; from solo Firefights that make use of Awakening the Bear: Solo Expansion to giant, multi-map, four-player battles! To create a unique new Firefight, players alternate playing Generator Cards to choose their units, Victory Point conditions, weapons, weather conditions, and more. Players can bluff, outmaneuver, and thwart their opponents...all before the Firefight even begins! Successful commanders will make smart and strategic choices by allocating their limited resources to set themselves up for victory. This is a groundbreaking new system that is challenging and fun to play and can be fully integrated with the Solo Expansion!! This expansion requires Conflict of Heroes: Awakening the Bear.